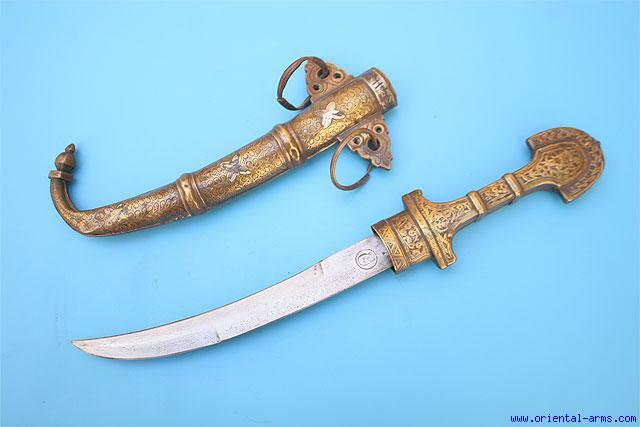 Up for sale is this good Moroccan dagger, from South Morocco. Classical Koumaya style with curved blade 9 � inches long stamped with an image of a human face. Finely chased brass scabbard and handle with thin star shaped silver decoration. Big side ears and steel rings for baldric suspension. Total length 15 � inches. Very good condition. Small dents on the bras and on the scabbard tip.